Our bedroom has looked like this for while. Until something happened last fall. I can’t remember exactly what it was but somehow, Chad and I ended up at my sister’s house and we slept in their king size bed and suddenly, I could not deal with spending one more night in our microscopic queen sized bed for infants. Chad’s a big man and I am an evil woman who cannot stand to be breathed on or feel body heat from the closeness of another person on me while I’m trying to sleep. Yes, I am a sleep diva. Yes I am horrible. 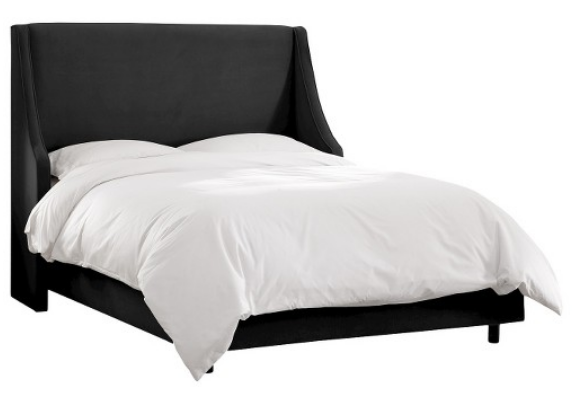 Yes, a king bed is 100% luxury and I had to have one immediately. Even if it just meant having a mattress on the floor. I felt like I was sleeping in a self-imposed casket every night and it had to stop. Here’s where we are right now. We’re getting close to where I want it, but having an unfinished room has never stopped me from sharing it here with you. We’re learning together, right? Yes, I know the top photo looks better than my current room. This is what progress and change look like. It looks worse before it looks better. This room isn’t styled or staged, which sometimes I do for photos like for last week’s One Room Challenge reveal. Today, I just walked in after the room was clean and snapped photos. Some items in the room might read as confusing or weird on camera but they make sense in the room. When you style and stage a room for photos, you remove anything that looks weird or confusing on camera, even if it makes total sense in the room. It’s not trying to be fake or play tricks on people, it’s really removing distractions so the viewer can see the space without being confused. Getting off my soap box in honor of those who style photos for our viewing pleasure. Thank you. Meanwhile, good luck figuring out what that weird black thing is on the bench at the end of the bed. 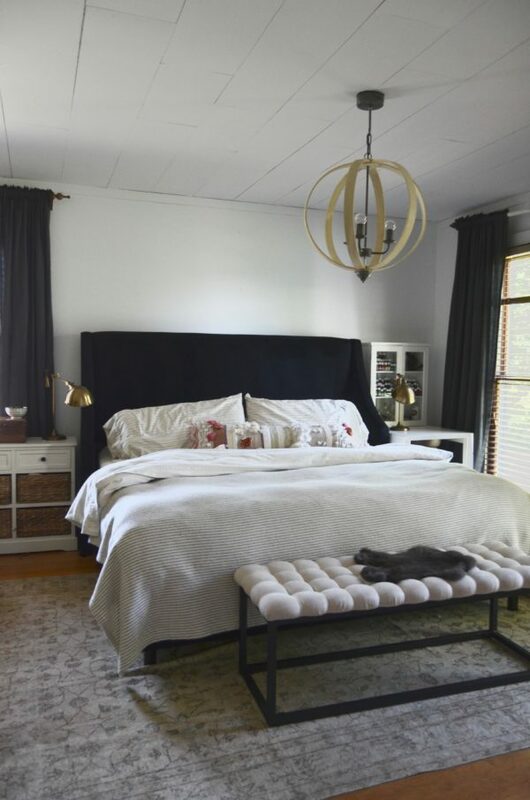 There are things I’m still looking for, and changing but there are a few things I’m liking in this room and they are the bed, the drapes (Ikea), the rug, and the simplicity. One side of my drapery rod came lose three months ago. I really should fix that. The Bed. 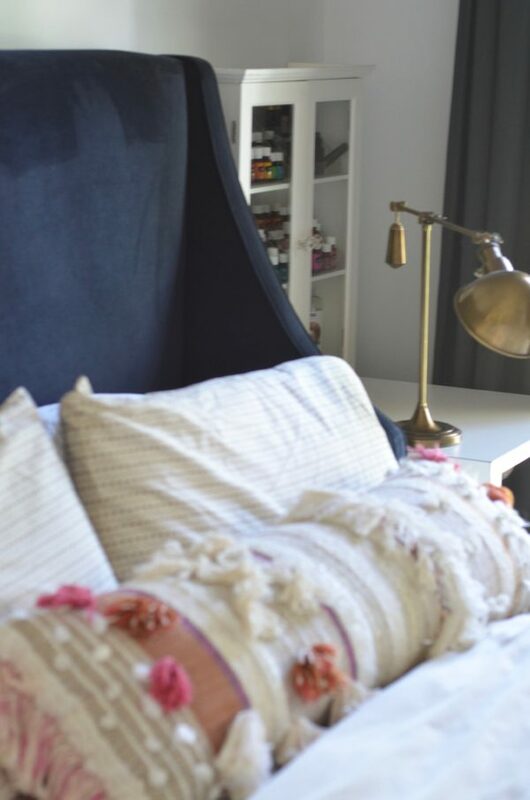 I searched around for the perfect bed that didn’t cost too much because I was already making a purchase that felt a little over the top–we already had a perfectly fine bed that was only 5 or so years old with a relatively new mattress. 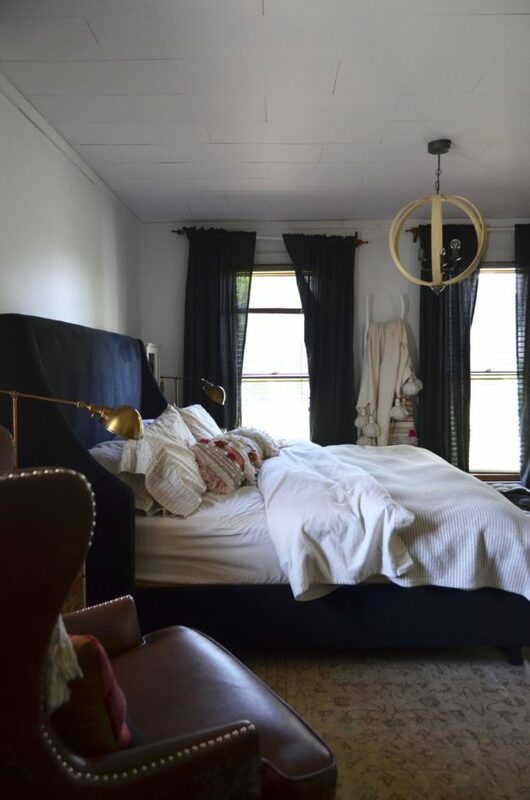 I wanted a bed that had traditional presence that I wouldn’t get sick of looking at, that carried its own in a room and didn’t have to be styled with a bunch of random pillows to look good. I ended up choosing this Skyline Swoop bed that I bought through Target. At the time they had the best deal but I think they also carry it at Overstock and Wayfair, Bed Bath & Beyond has the headboard, just google image search Skyline Swoop bed to find who has the best price. There are 14 different colors too. I sold the old (but still relatively new) bed on craiglist and the buyer ended up being someone who went to my old church and is a reader here so that felt great. And the mattress? It was only a year and a half old so we gave it to some friends. The queen mattress was a Leesa and it was sponsored at the time and I LOVED it. So this time around, I used my own hard-earned cash and bought myself a king size Leesa mattress. I cannot say enough about how much I adore this mattress. If you are ever at my house I will make you sit and lay on my bed and then you’ll want to go home and buy a new mattress. Once we got the bed that I will not change for the rest of forever (don’t hold me to that) I found the perfect vintage rug that played down the masculine lines of the bed with some subtle shapes and colors. Come to mama. 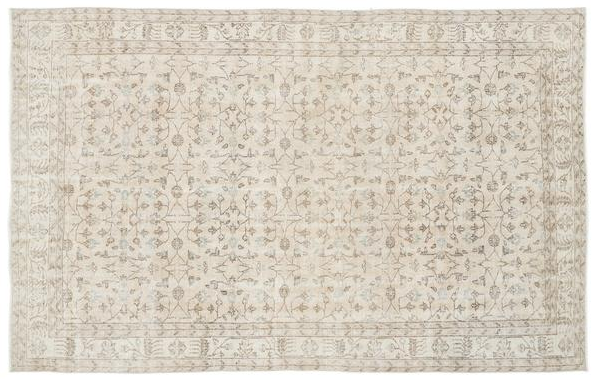 I found this glorious vintage rug that’s been shaved, bleached, colorized, overdyed and dried, PHEW! 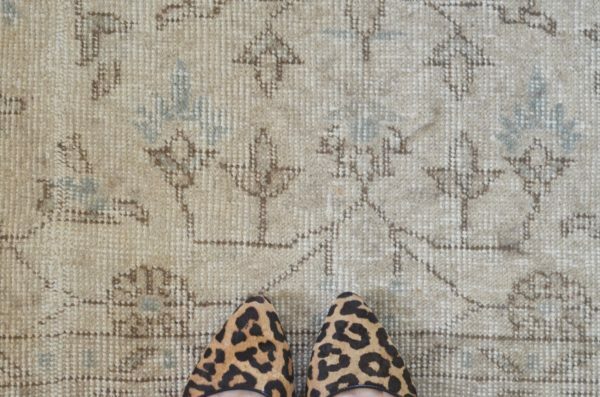 This rug has had a complete makeover! I was a little worried that it would be too thin and not soft, but it still has a pleasant weight to it and feels more like velvet underfoot than a shaggy plush rug. I absolutely love it. If you are wondering, I put the old jute rug from the bedroom out on our covered porch. Don’t worry, I didn’t simultaneously have a clean, orderly room and a clean, orderly self. I slipped on cute shoes with my 2 day old yoga pants and three-day old top knot. If you’ve been around here much you know I’ve been going through my entire home and life applying my Cozy Minimalist way to everything. Basically, I’m tired of making life more difficult on myself by having so much stuff. Even cute, pretty stuff for my house. So I’m challenging myself to have less stuff while trying to achieve more style. It puts more pressure on each individual item in our home to serve us well and have a voice, each piece has to carry its own weight because I’m not gonna hide it behind 1.5 million throw pillows. (Sad face in remembrance of the 1.5 million throw pillows that I miss). I don’t have time for that anymore. So this bed and rug were a move forward for me. And I’m only allowing myself TWO decorative pillows in this room. So they have to work hard. The pillow on the bed is from Anthro, yep a big splurge (well, I had a gift card that covered 100% of it, and a 15% off card, but still). I figured if I’m only going to have one decorative pillow who is doing the job of three on the bed, then he can cost a little more. 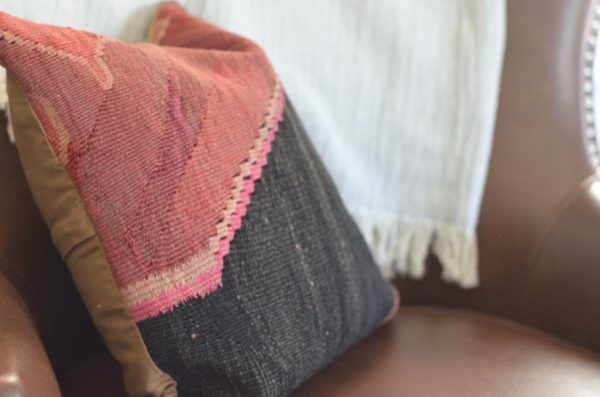 This great pillow on the chair is from the Kilim Pillow Store. 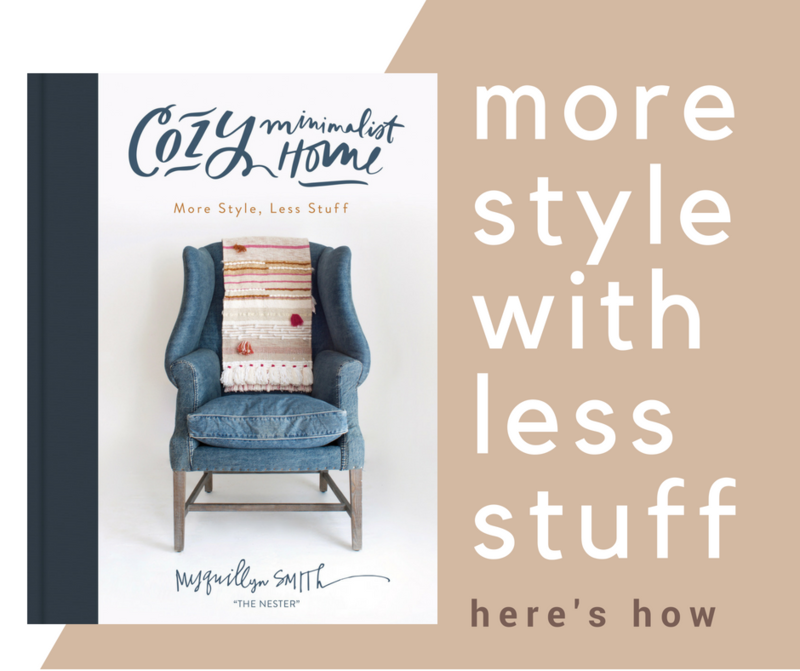 Both pillows add a little color and a lot of texture. I also have been annoyed by the overhead light in our room for ages. 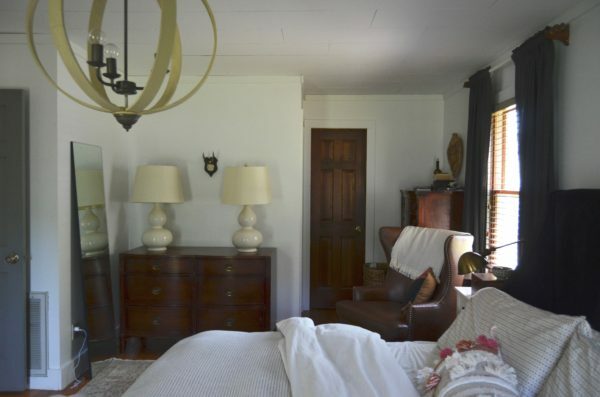 I love the light itself, but we have 194os shiny wood furniture in our room and the grey driftwood style of the chandelier over the bed had always felt off. In the spirit of insisting that each piece in a room deliver and earn its keep, I decided to paint the chandelier. I grabbed some craft paint and was going for a dark off white for the chandy. It’s all wrong right now, it turned a little green, but I’m deciding what color to try next. I’ll keep you posted. And if I can’t get it right, I’ll sell it and start fresh. I’m also trying to keep my surfaces and the floor clear so our room is truly a place I can actually relax. 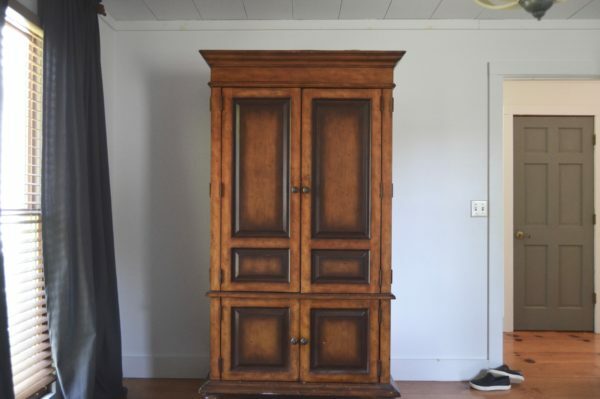 I used to have a quirky mirrored table on one side of this armoire and a fun thrifted chair on the other. Guess what? I never sat at the chair and I didn’t need the adorable table. The only thing I ever used them for was to pile up crap I didn’t feel like putting away and then my room looked and felt worse. So I took them out to trick myself into keeping our room more tidy. It works! apparently I’ve joined a cult centered around essential oils. I’m obsessed and cannot escape it. And I don’t want to. I love keeping my oils all together in one place because playing with their pretty bottles and putting them in rainbowetical order is part of the fun. I also I like them on display, but behind glass because it feels like less clutter. For now, they are in this old medicine cabinet I found at Target a hundred years ago. If I 100% know I want it to stay here I’ll hang it, but I’m not ready to commit just yet, so it sits on the table. So, that’s the bedroom in its natural state. If I had to, I could finish it in a few days, but since the big decisions are made it’s kind of fun to wait and see what comes along. The furniture on the long wall is all squeezed in but I don’t want to rush finding a smaller chair or different side tables. So for now, we’ll have a weird green chandelier and a little crowdedness on one wall while I go beauty hunting and pay attention to how we use everything this room so I can make good decisions. The rug is lovely. Its scale and age (EMPHASIZED age because of the treatment) are perfect for this room. I’m looking forward to seeing the finished room! 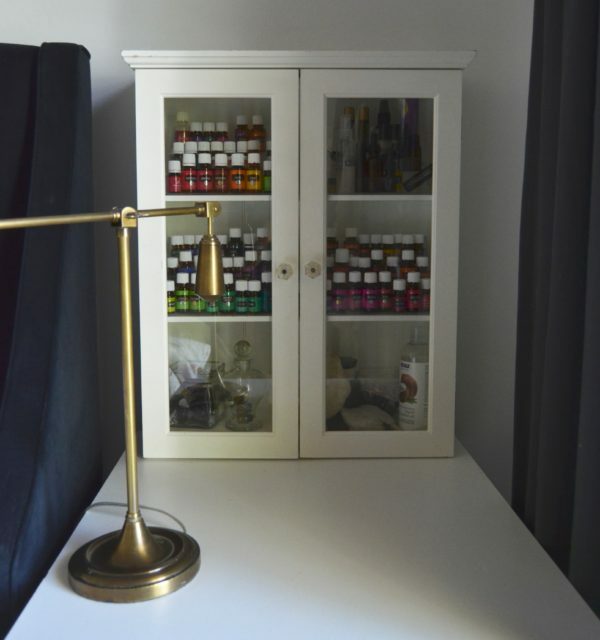 what type of oils are those? This sort of post can be really refreshing, and even inspirational. 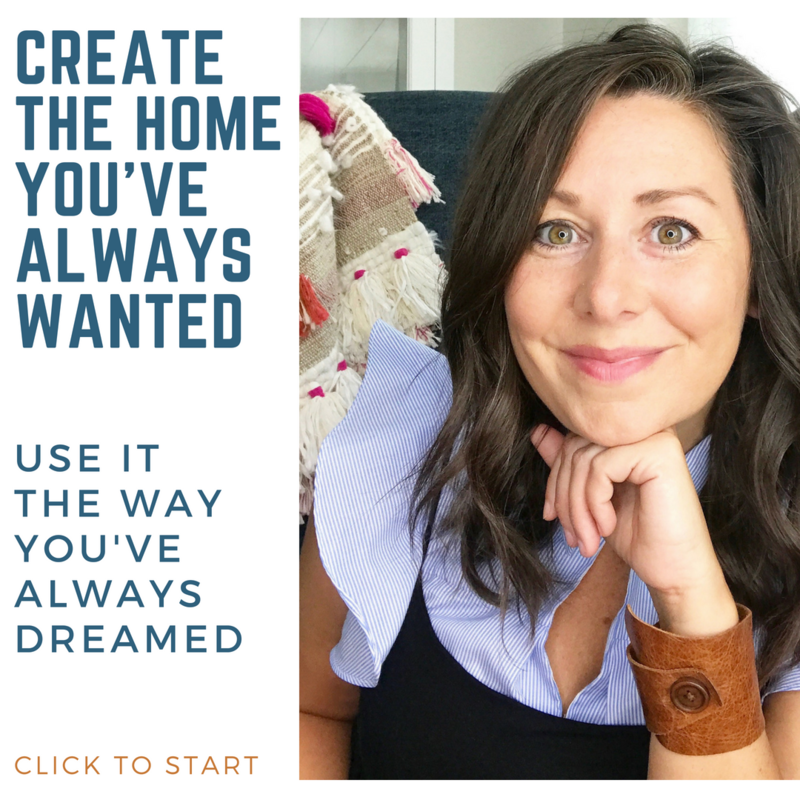 I can admire the pretty, styled rooms and they can inspire me to change things, but sometimes you look at that room and the thought of the work to get your room from not great, to styled and pretty is overwhelming. I’m looking at your curtain pole and thinking “why haven’t you fixed that?”, then I look at my curtains that have been pinned instead of properly turned up for…well, as long as I’ve lived here, and it’s ok. My curtains and yours. right? I think the same thing. Why don’t I just ding-a-ling fix that? And then I keep not fixing it because it requires tools and probably a patching something and making a brand new hole and I’ll do it next week. Thank you for this post! I love your kitchen and back porch, but I really, really love getting the full, un-styled picture of life in the home of someone whose taste I admire so much. 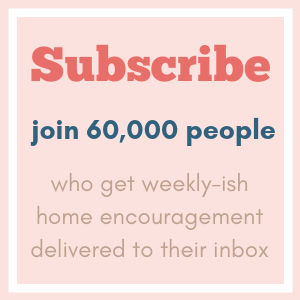 I woke up this morning thinking, “I need to just buy all new stuff for our bedroom because it’s so haphazard”, but this is a great reminder that doing things piecemeal, when time/money/energy permit, it’s a perfectly acceptable (and preferable!) way to get things accomplished too. You know what I like best about you? You are real AND relatable. 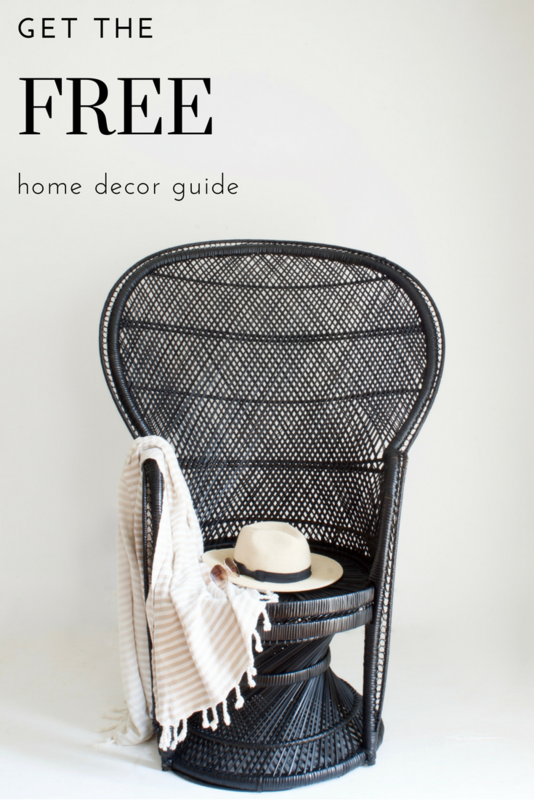 I’ve recently unfollowed many blogs and Instagrams of people who re-design by buying all new things for their homes. That’s great for them and for others, but many people can’t financially do that. I was tired of seeing company boxes being unpacked and new this and new that. It can be very disheartening. I’ve been an avid follower of yours since your book came out, even taking your first Cozy course. Thank you for being you. 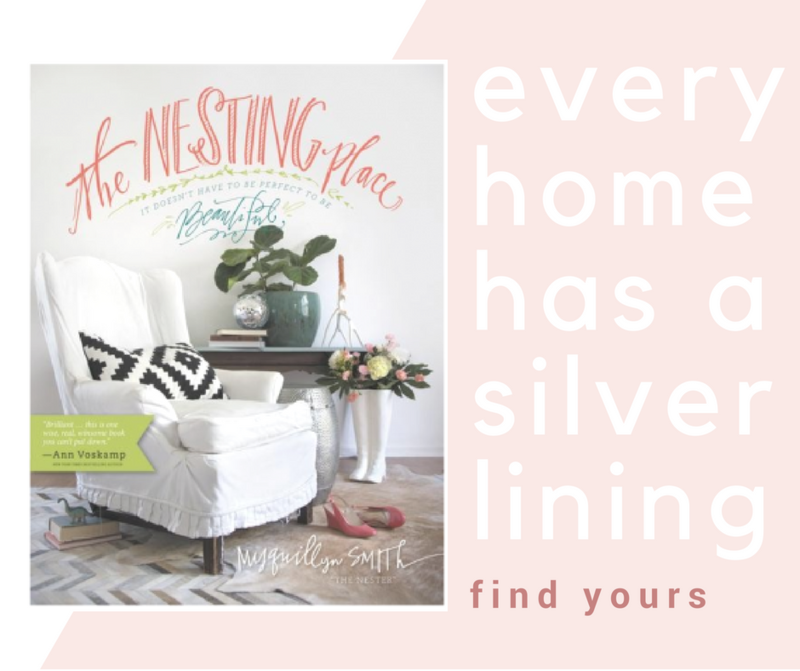 It’s a breath of fresh air for this working mom/graduate student/wife who wants a cozy and welcoming home. I don’t need new everything. And it doesn’t have to be perfect to be beautiful. I will enjoy my coffee next to my uneven IKEA curtains because one shrunk more in the wash. But they are hung high and wide and I’ll take that as a win. You are one of my favorite people! I love your style, your honesty, your approach in decorating …there is just so much to love! Like in an I admire you way, not creepy way. Enjoyed this post and enjoyed your normal, honest, self. The yoga pants with cute shoes is spot on. Not that you are soliciting advice- but I like to rearrange so don’t mind me. Have you or would you consider swapping the hutch with the low dresser and lamps- then putting the chair perhaps by the window over there. Or not moving the chair at all? It seems like that hutch wall would be a great spot for a mop wall hanging or any piece of fun art :-) Happy waiting and playing. Love the rug! I thought it was a pair of socks at the end of the bed. Or a cat. I just love how real you are! Yes yoga pants. The bed is beautiful! I like the cover too. Thanks for the real-life inspiration. I love it all, esp the oils :) but— WHERE IS THAT BED SPREAD FROM?! I LOVE IT, and need a lightweight number for spring/summer! I’m going to be lying awake at night trying to figure out how the, uh…quirk got into your curtain rod. The altered vintage rug is interesting…please give us an update later on how well it wears…I think that the shaving might make the knots (if it’s knotted) more likely to come loose. We ADORE our king-size Leesa!! It’s almost two years old and has NO “pits” where we sleep. I can’t say enough about how great it is! I like the great community things the company does, too. I have just found your blog while searching how to be minimalist yet cosy. I love it- thank you so much! Another excellent trademark process post from Nester! Love it. Thanks for showing us. I am the same kind of horrible sleep diva as you, so glad I’m not the only one! We got our king bed about 2 years ago, and last week we stayed in a hotel that had a queen size bed. Yikes. Don’t know how we did that for 25 years. I liked the bit about styling rooms differently for the camera than for real life. When we took photos of our house to sell, I *loved* the way I did the rooms for the camera. The photos looked so fresh and clean! But it would totally not have worked to live like that–we need things out like hymnals on the piano, or an extra chair, or the printer on the desk with the computer. (I mean, okay, we COULD put those things away but they’d make life more difficult.) Balancing clean, uncluttered style with function is so difficult for me! You are not a sleep diva! Sleep is so important for health and well-being and impacts every facet of our lives from creative thinking to our digestion. I say, if you need a bigger bed for you and your spouse to sleep more comfortably, then it is not a luxury; it is money well spent! M – I just love your authenticity and the “freshness” of this post (complete with yoga pants and several day old top knot!)? Thanks for keeping it real, and yet still inspiring me to re-think my decor (in good ways!). beautiful bedroom, simple yet elegant. I’m curious–don’t you need a ceiling fan in just about every room (especially the bedroom) to survive summer weather? I would so like to have nicer looking lighting, but can’t imagine doing away with the airflow from above. Absolutely love this refreshing honesty! 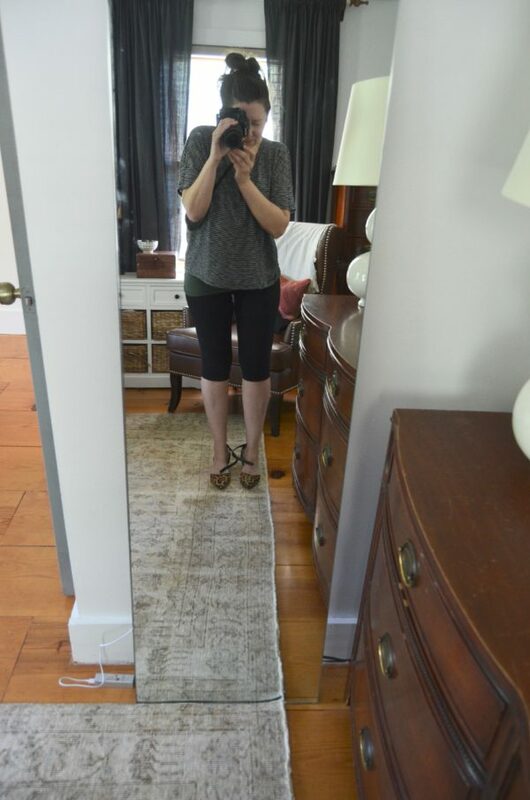 The cute shoes, followed by the mirror reflection of reality, was like thumbing your nose at all those perfect IG pics of toes….made me laugh out loud :) Love the progress pics because I think most of us feel like every room in our homes is a progress pic, and you make it okay to share them anyway. Thanks for that! 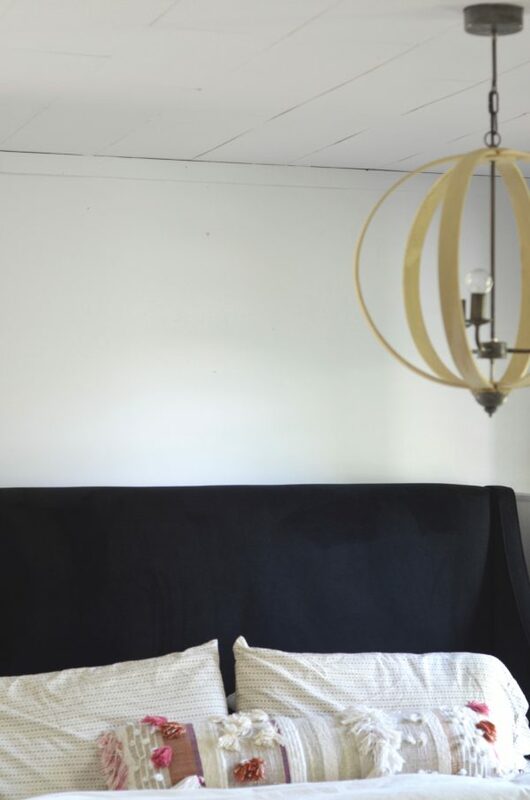 Would you mind sharing which IKEA curtains these are? Thank you!! Love your bedroom ideas. Its simple but interesting. Thanks for the ideas! The room looks great! I love the rug and the bed and how you have some boho vibe in the bedroom. It looks really cozy and like a room where you will be happy to relax. Thanks for sharing. brandmat.co.za – Brandmat Brandmat is a pioneer company in designing high quality Promotional mats in South Africa. brandmat.co.za – Brandmat Brandmat is a pioneer company in designing high quality Printed Mats in South Africa. This is way better than any over-designed bedroom stuff. And as the previous said, it’s totally relatable. I like your honesty and realness, I’ve never been so organized myself and when I see that some other people can be their true self when it comes to organizing stuff, I really feel better. Beautiful! Can you tell me where the bench is from? Thanks! The room looks great! 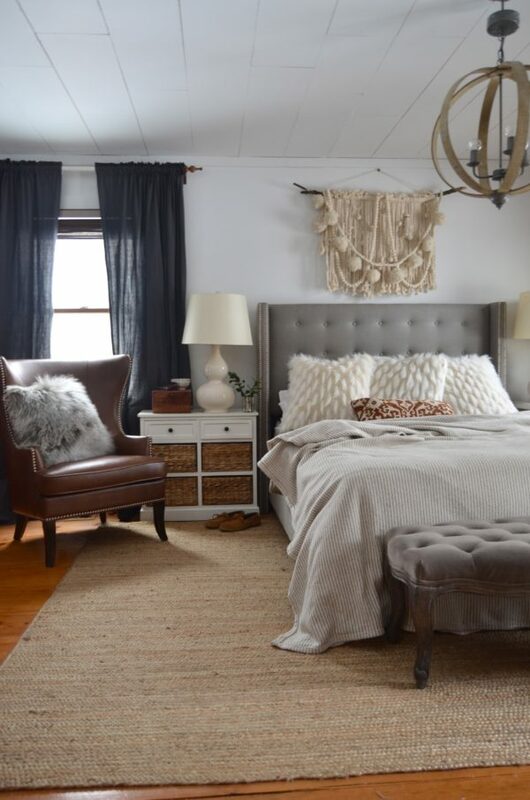 I love the rug and the bed and how you have some boho vibe in the bedroom. Nice pastel rug pattern. Truly vintage. in Opera, it looks fine but when opening in Internet Explorer, it has some overlapping. I had a curtain rod hardware accident happen too. Didn’t fix it for years. Then we did fix it – days before our house went on the market. Right.